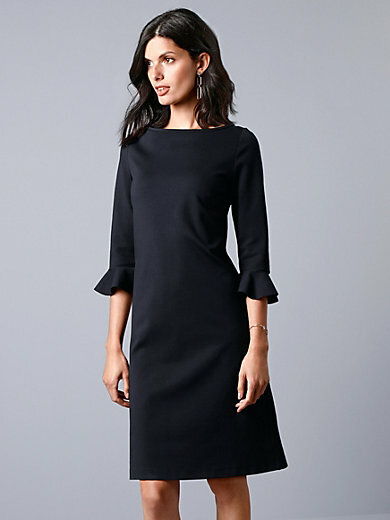 Jersey dress by GOAT with 3/4-length sleeves. High-class fashion – a statement for sophisticated style meeting the highest material and quality expectations. Premium elasticated jersey in an understated, tailored cut makes for a designer model that is simply perfect for all kinds of occasions. With a boat neckline, flounce at the 3/4-length sleeves and seam zip at the back. 69% viscose, 25% polyamide, 6% elastane. Length approx. 95cm/38ins. Dry clean recommended.